Dana Boente, the U.S. attorney for the Eastern District of Virginia who served as acting attorney general earlier this year, has submitted his resignation. Boente will stay on until a successor is confirmed to the high-profile Eastern District post, multiple news outlets reported. Boente was thrust into the spotlight after President Trump fired Acting Attorney General Sally Yates in January for refusing to defend his controversial travel ban. Four months later, Boente, a 33-year veteran of the Department of Justice, was tapped to serve as interim head of the National Security Division. 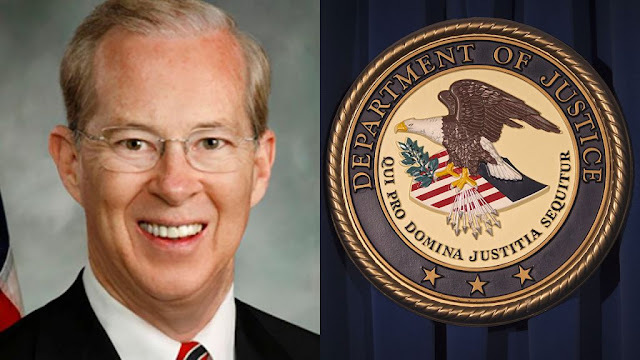 Boente became the U.S. attorney for the Eastern District of Virginia in 2015. He was nominated by former President Barack Obama. The Eastern District is among the most powerful in the country and has a staff of about 300 with offices in Alexandria, Norfolk, Newport News and Richmond. It routinely prosecutes terrorism cases and represents the country in civil court cases.